Background Migraine is an expensive condition impacting on the economically active sector of the population. Given the expense of anti-migraine medicine, it is important to monitor the impact of generic prescribing and therapeutic substitution. Objective The primary aim was to analyse the prescribing patterns and cost of anti-migraine medicines to determine the impact of generic prescribing and prescribing changes over time. Method A retrospective drug utilisation study was conducted on South African private sector medical insurance claims data for 2011. Results A total of 797 patients received 1583 anti-migraine medicines during 2011. The majority of patients (70.14 %) were females. The average age of patients was 41.61 (SD = 14.91) years. 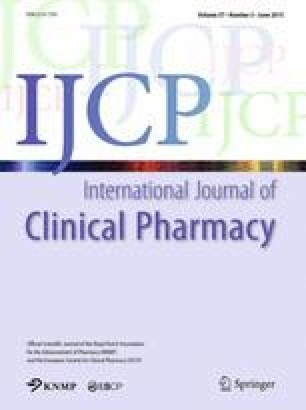 Clonidine was the most frequently prescribed (49.21 % of prescribing frequency; 25.70 % of cost), followed by the triptans [selective serotonin (5-HT1B/1D)-receptor agonists] (27.98 % of prescribing frequency; 45.92 % of cost). Five triptans were prescribed. The average cost per sumatriptan prescription was the lowest (the only triptan with generic equivalents). Rizatriptan was the most frequently prescribed triptan (18.51 % of prescribing frequency; 29.15 % of cost). Conclusion The results were generally in agreement with previous South African studies. The impact of the introduction of newer triptans and of generic equivalents on prescribing patterns was clear. We thank the medical insurance administrator for providing the data for the study. This work is based upon research supported by the National Research Foundation (NRF), South Africa. The author has no conflict of interest. Any opinion, findings and conclusions or recommendations expressed in this paper are those of the author and therefore the NRF does not accept any liability in regard thereto. Chawla J. Migraine headache. Medscape, 2014. http://emedicine.medscape.com/article/1142556-overview#aw2aab6b2b3. Last access 23 Jan 2015. Atlas: country resources for neurological disorders 2004. Geneva: World Health Organization and the World Federation of Neurology; 2004, 1–59. http://www.who.int/mental_health/neurology/neurogy_atlas_lr.pdf. Last access 24 Jan 2015. Truter I. A pharmacoepidemiological study of anti-migraine prescribing in South Africa. Cephalalgia. 2011;31(Suppl 1):113. www.ihs-headache.org/binary…/1856_ihc-2011-abstracts-supplement.pdf. Last access 24 Jan 2015. Truter I. Pharmacoepidemiological study of migraine with the focus on 5HT1-receptor agonists. FIP Centennial Congress, Amsterdam, The Netherlands. 2012. http://www.fip.org/abstracts?page=abstracts&action=generatePdf&item=7783. Last access 24 Jan 2015.